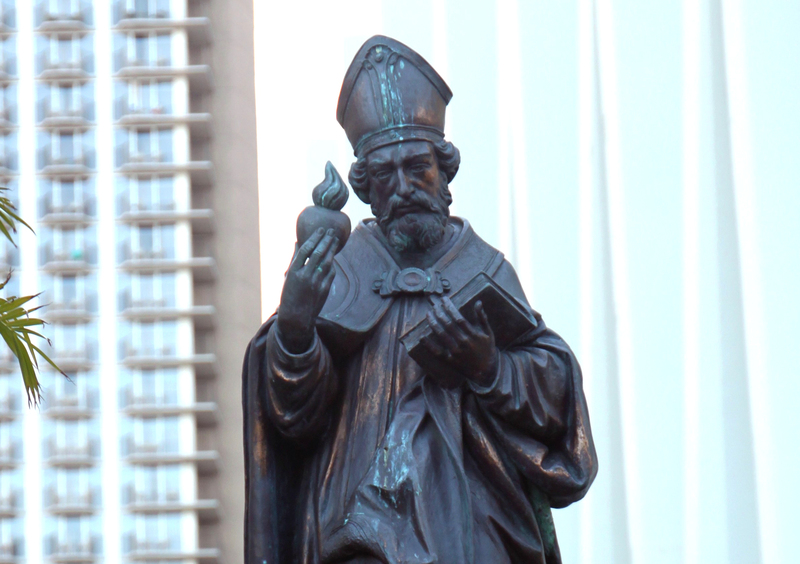 St. Augustine statue at St. Augustine Catholic Church (est. 1854) near Waikiki Beach in Honolulu. “Not the beauty of any bodily thing, nor the order of seasons, not the brightness of light that rejoices the eye, nor the sweet melodies of all songs, nor the sweet fragrance of flowers and ointments and spices: not manna nor honey, not the limbs that carnal love embraces. None of these things do I love in loving my God. — Translated by F.J. Sheed, Confessions (Indianapolis, IN: Hackett Publishing Company, 2006), 193.